Adapted from our book and video series, Refactoring UI. You can't build anything with five hex codes. 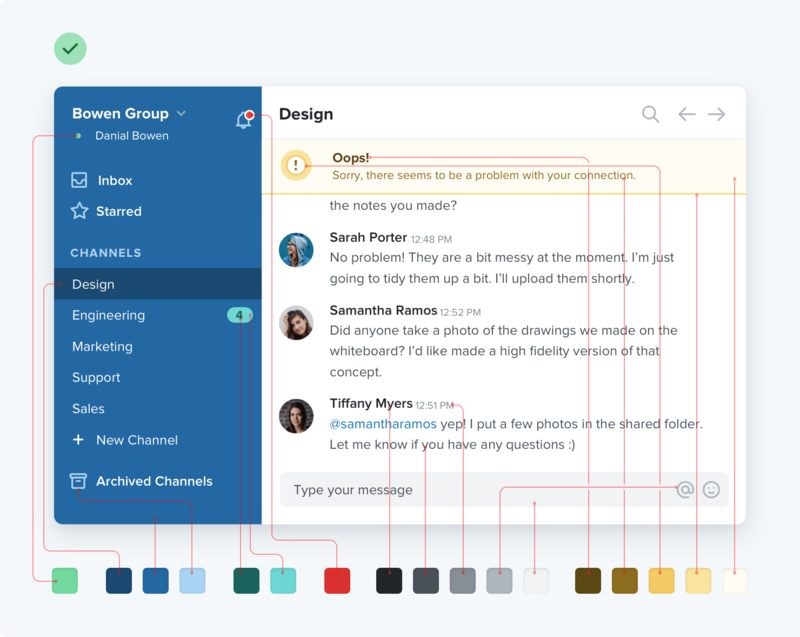 To build something real, you need a much more comprehensive set of colors to choose from. You'll need more greys than you think, too — three or four shades might sound like plenty but it won't be long before you wish you had something a little darker than shade #2 but a little lighter than shade #3. In practice, you want 8-10 shades to choose from (more on this later). Not so many that you waste time deciding between shade #77 and shade #78, but enough to make sure you don't have to compromise too much . You'll want multiple shades for these colors too, even though they should be used pretty sparingly throughout the UI. 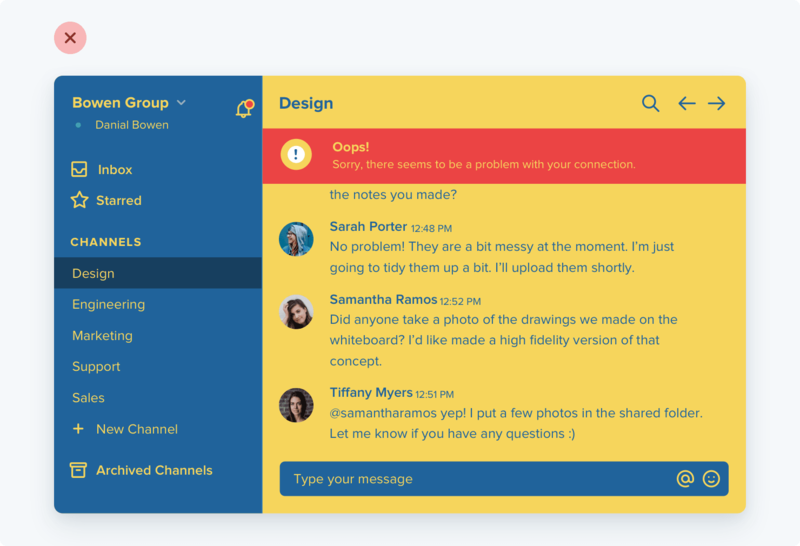 If you're building something where you need to use color to distinguish or categorize similar elements (like lines on graphs, events in a calendar, or tags on a project), you might need even more accent colors. 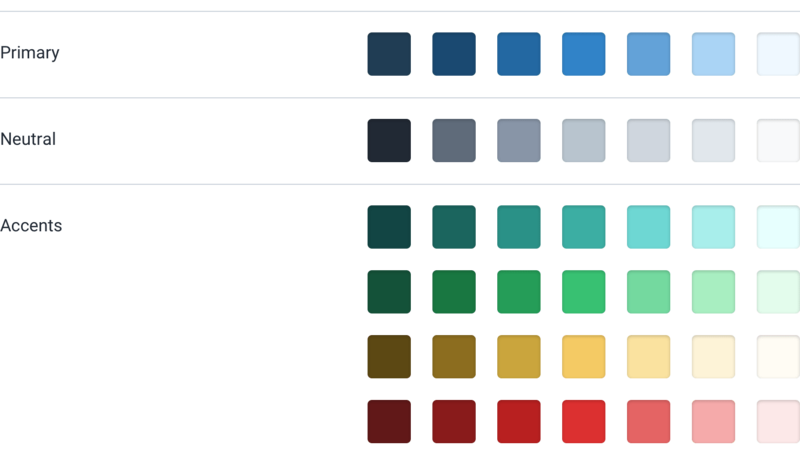 All in, it's not uncommon to need as many as ten different colors with 5-10 shades each for a complex UI. When you need to create a lighter or darker variation of a color in your palette, don't get clever using CSS preprocessor functions like "lighten" or "darken" to create shades on the fly. That's how you end up with 35 slightly different blues that all look the same. There's no real scientific way to do this, but for primary and accent colors, a good rule of thumb is to pick a shade that would work well as a button background. 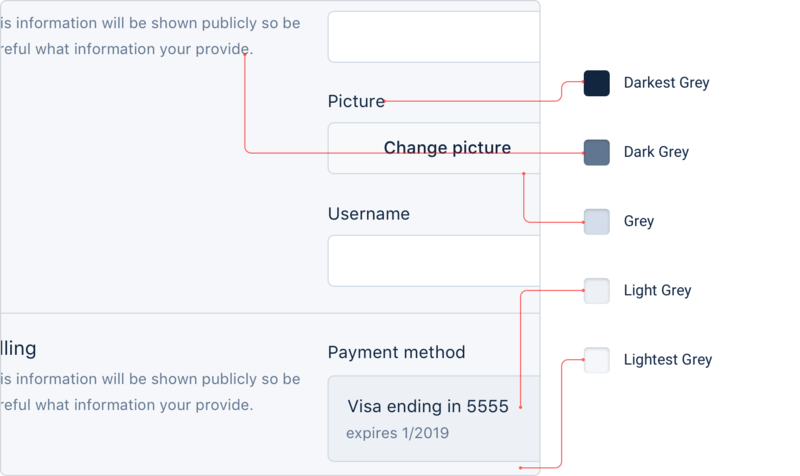 It's important to note that there are no real rules here like "start at 50% lightness" or anything — every color behaves a bit differently, so you'll have to rely on your eyes for this one. Next, pick your darkest shade and your lightest shade. There's no real science to this either, but it helps to think about where they will be used and choose them using that context. Start with a color that matches the hue of your base color, and adjust the saturation and lightness until you're satisfied. Once you've got your base, darkest, and lightest shades, you just need to fill in the gaps in between them. For most projects, you'll need at least 5 shades per color, and probably closer to 10 if you don't want to feel too constrained. Nine is a great number because it's easy to divide and makes filling in the gaps a little more straightforward. Let's call our darkest shade 900, our base shade 500, and our lightest shade 100. With greys the base color isn't as important, but otherwise the process is the same. Start at the edges and fill in the gaps until you have what you need. As tempting as it is, you can't rely purely on math to craft the perfect color palette. A systematic approach like the one described above is great to get you started, but don't be afraid to make little tweaks if you need to. Once you actually start using your colors in your designs, it's almost inevitable that you'll want to tweak the saturation on a shade, or make a couple of shades lighter or darker. Trust your eyes, not the numbers. Just try to avoid adding new shades too often if you can avoid it. If you're not dilligent about limiting your palette, you might as well have no color system at all.